Pattern Practice Acquire basic grammar and correct pronunciation by the oral approach of sentence patterns. Spelling Acquire reading and writing ability of "HIRAGANA","KATAKANA"and "KANJI"
Conversation Acquire speaking ability to express oneself in simple manners in daily situation. Writing Composition Acquire ability to write short sentences through practice and spelling. Reading Develop ability to read complicated sentence patterns and constructions, and how to summarize content. Listening Develop ability to understand more speedy and complicated speech. Vocabulary Acquire additional "KANJI" with its practically usage. Conversation Develop ability of fluency for communication,speech and discussion. Writing Composition Acquire ability to make moe complicated sentences of letter,diary,and a speech. Comprehensive and Consolidated subjects Acquire ability to understand the general the general knowledge for world history and relation with Japan t obtain nessary logical thinking with fair judgment. Reading Acquire ability to read paper.General cultural books and apical works,and grasp and summarize content. Listening Acquire ability t understand cultural programs and news of T.V.and radio. Comprehending cultural studies of University and how to take notes. Vocabulary Acquire ability of additional"KANJI"in common and its technical terms. Oral Expression Acquire ability to make presentation of speech and discussions. Writing Composition Acquire ability to develop reports and essays. Comprehensive and Consolidated subjects Acquire ability to understand the general knowledge for world history and reation with Japan to obtain necessary logical thinking with fair judgment. Pattern Practice Acquire basic grammar and correct pronunciation by the oral approach of basic sentence patterns. Listening Acquire listening ability of necessary information by simple construction sentences. Spelling Acquire reading and writing ability of "HIRAGANA","KATAKANA"and "KANJI". Writing Composition Acquire ability to write short sentences through pattern practice and spelling. Listening Develop ability to understand more speedy and complicated apeech. Vocabulary Acquire additional "KANJI"with its practical usage. Writing Composition Acquire ability to make more complicated sentences of letter,diary,and a speech. Listening Acquire ability to understand cultural programs and news of T.V.and radio. 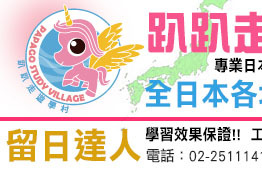 ※ Course details are same as "Advanced Japanese Course for Entry to a University or technical school"
Access -5 minutes from the school on foot. Equipment Internet access, small refrigerator, TV, desk, chair, Futon, air conditioner, electronic cooking stove, bathroom, toilet. *you need to use the Laundromat on the first floor. Access - 3 minutes from te school on foot. -7 minutes on foot from "Omote-sando station" (Tokyo Metro Chiyoda Line, Ginza Line, and Hanzoumon Line). I know nothing about Japanese language. There’s an examination in the beginning of the semester which will classify you into a proper class. You can improve your Japanese ability through a particular communication method and a small class system consisting of about 20 students. Can I enter the school without any guarantor living in Japan? It is not necessary to look for guarantor if you have enough money for living expenses and tuition fees. Please submit a bank balance sheet.If not, however, you need a guarantor who can support you. In this case, there is no problem the guarantor’s staying in your country or wherever. Did the graduates of this school succeed in entering higher grade colleges or finding good jobs? For the period from 2002 to 2003 they were able to enter Tokyo University, Tokyo University of Arts, Tokyo Industrial University, National University of Yokohama, Keio Gijyuku University, Waseda University, Rikkyo University, Chuo University, Nippon University and many other professional colleges in various sectors of business. Our graduates work actively as interpreter or sightseeing guide with the Japanese language skill they learned here. I don't know anybody in Japan. I am afraid lest I should fell strange to the Japanese manner of living. Soon after you enter the school, we shall explain the Japanese manners and customs in detail and you will receive our monthly guidance for living in Japan regularly. You will be involved in Japanese life instead of escaping from strange Japanese manners. Here is the best chance for you to experience not only a different language but also a different style of thinking and culture. You also have an opportunity for communication with students coming from many other countries. My great anxiety is that I don't know how to go to school upon my arrival in Japan. How much will it be to live on in Japan per a month? 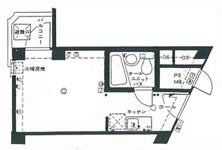 In case of Urayasu dormitory, the accommodation fee is JPY33,333 per a month(JPY100,000 for 3 months - excluding water, gas, electricity charges). When it comes to living expenses, it’s really up to you of course. FYI, it’ll be JPY60,000 at least(except the school tuition fee).That’s why there’re many students working.You get a part-time job and you can keep up with your study, it’s a better experience for you to get to know Japanese culture and people.There’re many students working to earn money for their maintenance. There’re also many students working as a method for studying Japanese language and culture. What can I enjoy outside of studying? In everyday lessons you may have a friendly communication with your teachers and you can enjoy their humorous lectures. To make your school life in Japan more enjoyable, plan to carry out many events including sightseeing bus tours and athletic meets, a Christmas party, etc. Aoyama area where the school is located is full of elegant boutiques managed by the famous designers such as Jun Ashida and Hanae Mori. Many good restaurants are available for dating. By a short work you can reach Harajuku, the town of youngsters or Shibuya, the busiest area of Tokyo having many department stores and movie theaters. You can enjoy your city life.